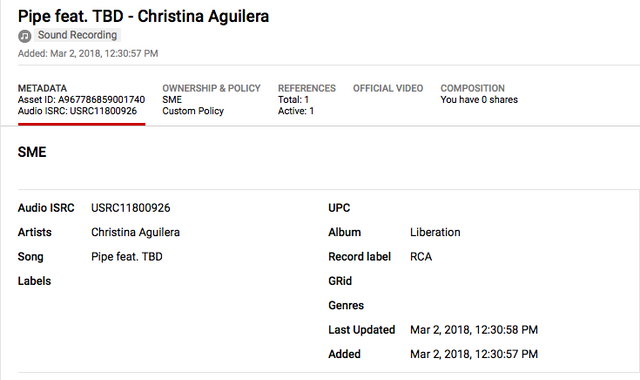 According to YouTube's Content ID system, the song "Pipe" features an unannounced / tbd artist. This is going to kill all our waiting... I need things to be confirmed by her. Hopefully it won't leak before time.. 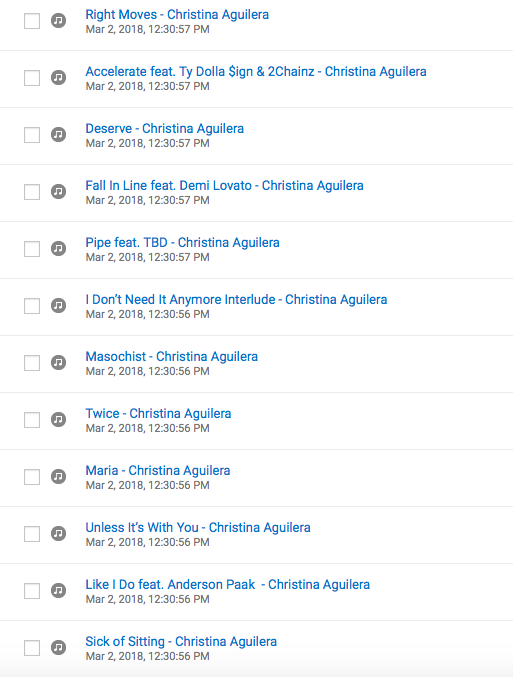 Apparently a (part of) ‘Fall In Line’ was uploaded on YouTube earlier - bit got removed. Not happy about this at all. I need the label to act on this, announce the single and album and keep their files locked away. As for the title, I like it. Tracklist looks good too. Yay for Anderson .Paak and Demi. Now I just want real confirmation by X or her team. Only thing they can keep is 2Chains. . . . he hasn't been relevant in at least 3-4 years. Demi? Gurl byeeee. They can keep that mess. Excited for the Anderson. Paak collabo tho. But Flopt!na Christina hasn't been either. Wait, this will only ber her sixth album? Anyways, i'm excited! The collabs sound interesting. The Demi one isn't a surprise anymore as Demi already confirmed it on a concert iirc. Wasn’t there supposed to be a song with P!nk? P!nk confirmed... maybe in future... or yet to be releaved Pipe featured artist. Her last album was released almost six years ago! She can keep it. It will flop anyway (which is her own fault).